What are wasp and hornet sprays? Wasps and hornets know you are intimidated by their presence because you are afraid of their sting. So they milk it to the very extreme; terrorizing you and your loved ones. Well, you can run inside and abandon the outdoors (while risking a sting or two for your unsuspecting visitors) or you can take the matters into your own hands and deal with these pesky wasps and hornets. All you need is the right pest control solution for your peculiar situation. That’s what wasp and hornet sprays are all about. But before we get ahead of ourselves, it’s important that we look at the major types of pesticides and when you should actually go for a particular type. While this review is on the best wasp and hornet sprays, it’s important to know other similar products that are also used to get rid of these pests. This is to help you determine when it’s best for you to go for these sprays or the other product types and the best way to get rid of wasps, hornets or other insects. Whether you should go for sprays or other options depends on a number of factors like. In this case, you have a number of options like dusting or using sprays. Thereafter, to ensure total elimination of the entire colony, you might want to use a product that leaves residues for a reasonable length of time afterward. This is important as it will exterminate any that will hatch soon afterward or returning insects. If you use a spray that doesn’t leave residues, then you will have to re-treat the area every 14 days to ensure you wipe out any that hatches after. There are situations where you have wasps and hornets visiting but can’t locate their nests. In this case, your best bet is to spray the locations you’ve noticed they frequent with insecticides that leave a residue. 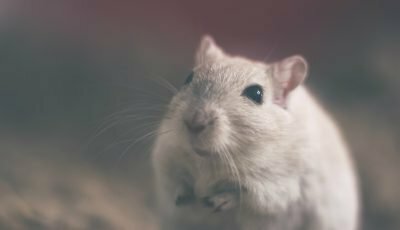 While they might not kill them instantly, they will eventually die provided they were exposed to a lethal dose. When you read through product reviews you notice a few people complaining that an otherwise effective spray (or related product) didn’t work for them. One of the major reasons (unknown to these people) is that they might be using the product for the wrong treatment. Sprays have a limited jet stream distance (let’s say about 20 feet). The spray won’t do much good beyond this distance. And unknown to many folks; wasps that make their nests underground usually have their nests much deeper than the entry point. So if you are dealing with such, you need dust insecticides that contain active ingredients such as chlorpyrifos or carbaryl. They type or species you are dealing with might give you more than one control option. For example, if you are confronted with species that forage or scavenge. In addition to using sprays or dust, you can get rid of them by using the right bait mixture. These bait mixtures are placed at strategic locations for such scavengers and foragers. When used correctly, there is generally a drop in the population even if total extermination isn’t achieved. This is important for a number of reasons. First, it determines how effective a spray would be in getting rid of wasps and hornets. It also determines whether they can have adverse effects on humans or pets or the environment. Some ingredients are considered to be carcinogenic. You’ll do well to avoid such products especially if you want to use them around your dwelling place. How far away do you want to stay while spraying wasps or hornets’ nests? I’d say, the farther away the better. Then pay attention to a distance of jet spray or stream. The bigger it is, the farther away you can stay from the nest and still get to deal ruthlessly with those wasps or hornets. In elementary physics, you were taught about conductors and insulators. Insulators don’t allow electric current to flow through them while conductors do. Air is an example of an insulator. However, at certain voltages, even air breaks down (kind of) and loses its insulating properties and becomes a conductor (Like in the case of lightning). So when you see a dielectric breakdown on an aerosol spray with a certain voltage on it, it’s telling you that it can be sprayed around “electricity points” provided they do NOT have a potential of up to the number shown as its dielectric breakdown voltage. For example, if an aerosol can show a dielectric breakdown voltage of 47,300 volts then it means it is safe to spray around electrical equipment or points that have a potential that’s lower than 47,300 volts. However, it’s best to err on the side of caution and give an error margin of up to 10,000 volts. So in the case of a 47,300 volts dielectric breakdown voltage, only spray on electric points that have a maximum potential of 37,300 volts. Even the best wasp spray would be counterproductive if used in the wrong setting. Therefore, you need to know if a particular spray can be used where kids or pets hang around. This is an important factor to look out for if you have kids or pets around you. Along these lines, note whether a particular spray is recommended for only outdoor, indoor or both indoor and outdoor use. While we generally assume that most people have to deal with wasps and hornets outside, there are situations where these pests build their nest in parts of the home. In such situations, you need a spray that can be used indoors without adverse effects. From the previous section, you noticed that we recommended treatments that leave a residue in certain situations. If you find yourself in any of those situations (where you need your spray to leave residues to kill off these pests when they show up later), pick a spray that leaves residues that stay potent long enough. The ecosystem is being affected adversely by certain harsh pesticides. In fact, a number of beneficial species of bees are being threatened due to the effects of such pesticides. Therefore, as much as possible, check how environmentally friendly a spray is before you pick one. It would do our world much good. While this isn’t an exhaustive list in any way, paying attention to the points and factors raised in this buying guide will make it a lot easier for you to pick the best spray for your needs. Now let’s take a look at ten great wasps and hornet sprays (note that we didn’t include any raid wasp and hornet killer). Offering a wide range of products that cover lawn/garden, pet supplies, personal care products, personal insect repellents, home pest control products and more; Spectrum Brands Holdings is focused on meeting your needs as represented in the solutions provided by each of its products. Its Spectracide brand focuses on the provision of top quality and effective pest control sprays as exemplified in the SpectracidePRO Wasp & Hornet Killer. If you don’t want to choose between effectiveness and safety (you want both in your wasp and hornet spray), this is a great brand to go with. 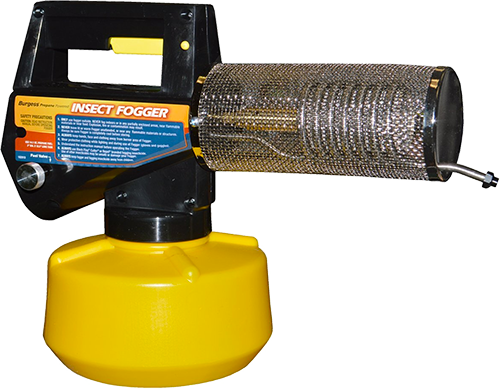 If you are simply sick and tired of using products that do a little more than “tickle” wasps and hornets and want an effective exterminator, go with the SpectracidePRO Wasp & Hornet Killer. It promises fast knockdown once you spray it (this isn’t just a wasp or hornet repellent). No, those wasps and hornets won’t know what hit them. They’ll be long dead before they can get a chance to launch an attack on you. And to make sure you get rid of them without putting yourself in harm’s way, its jet spray can reach distances up to 20 feet away. Stay at a safe distance and do your business. Now, this isn’t a solution that merely reduces the population of a colony, this Spectracide wasp and hornet killer does much more: It wipes out the entire colony if you apply it right. How does it do this effectively? Well, apart from killing insects (yellow jackets, wasps, and hornets) in the nest at the time of application, it will keep killing returning members of the colony for as long as four weeks from the time of application. As if these weren’t already enough reason to go get one right away, it has something special for those who have to deal with wasps or hornets that have chosen to build their nests in electrical points like circuit breaker boxes. To ensure there is no risk of electrocution, it comes with a high dielectric breakdown voltage of 47,300 volts. In a layman’s terms, you can use it around electrical installations provided they do NOT have a potential of up to 47,300 volts. Where can be used: Outdoors; use indoors only where you can ensure excellent air flow. Ortho is a subsidiary brand of Scotts Miracle-Gro and is committed to helping its customers live within their various spaces in a way that allows them to give full expression of themselves. It achieves this by the manufacture of innovative solutions that help them maintain healthy and beautiful gardens/lawns while keeping pesky pests at bay and getting rid of them if they’ve successfully built a nest around. One thing that makes Ortho’s products stand out is that it pays attention to its customers and so responds accordingly by developing products that meet their needs. Apart from listening to its customers, it also pays attention to experts. This leads to the development of products that stick to best practices and ethical standards that ensure we protect our environment for future generations. And while it maintains these high standards, it still doesn’t fail in the delivery of great solutions that deal with pest issues around the home. 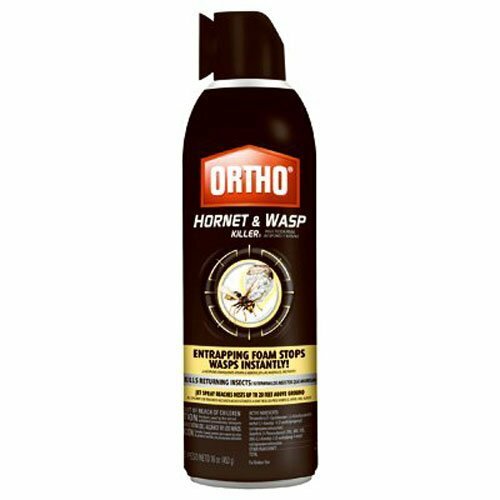 If you want to use a wasp and hornet spray that embodies all that’s great about Ortho, then look no further than the Ortho Hornet and Wasp Killer. Don’t let wasps and hornets make you uncomfortable in your own home. Take charge with Ortho Hornet and Wasp Killer and show them who’s boss. Whether they are hornets, wasps, yellow jackets or mud daubers; this proven insect killer gives them a deadly blow. Thanks to a specially formulated entrapping foam, wasps or any of the above-mentioned insects are stopped instantly. And what about “returnees” after you’re done spraying the nest? No, they are NOT spared at all. This “bad boy” just keeps killing them as they return thanks again to the entrapping foam that remains long after you’ve finished spraying. With a jet spray that can reach as high as 20 feet above the ground, these insects have no place to hide away from you. And, yes, you get to exterminate them without them having any chance of stinging you since you don’t have to get too close to achieve an effective spray. So whether they’ve built their nest under window frames, around carports, under roof eaves or any space outdoors; the Ortho Hornet and Wasp Killer have a pinpoint accurate foam that reaches them all. Insects within the nest are trapped and killed fast. All you have to do is stick with the simple instructions: Either at dusk or sunrise, get to the nest’s location (ensuring you are NOT standing directly below it). After shaking the can well, hold it upright and start spraying the entrance first (Make sure you are spraying from a direction that backs the wind). Continue until it is completely soaked. Thereafter, proceed with spraying the other parts of the nest. Simple, isn’t it? With a commitment to offering its customers products that help them maintain healthy, clean and safe environments; BASF Urban and Rural Pest Control manufacture best-in-class pest control solutions. If you are in the market for products that are both flexible and deliver predictable results then you’ve found your brand. If you are being bothered by flies, ants, termites, bed bugs, wasps, hornet (just name them); you can count on this company’s wide range of battle-proven solutions that include cutting-edge technologies and active ingredients. To further ensure that you keep getting constantly improving products, BASF continues to make huge investments in research and development. So, no, you aren’t dealing with a company that’s satisfied with yesterday’s success; you are dealing with one that’s committed to leading the field even tomorrow. This commitment is evident in the product being reviewed here. Not content with the original Wasp Freeze (which was effective and well received), BASF has gone on to replace it with something even better – the Pt Wasp Freeze II Aerosol. This spray is a special formulation that deals wasps and hornets instant knockdowns; not affording them the chance of releasing any stinging pheromone. This simply means that the chances of the applicator getting stung is greatly reduced. As if that isn’t enough, it has a jet spray that travels up to 15 feet, affording the applicator an additional measure of safety. You are also well covered with this spray even if hornets, wasps, bees and yellow jackets have successfully built their nests around electrical points. Thanks to its high dielectric breakdown voltage of 49,300; you can confidently use it around such electrical points or equipment (provided they do NOT have a potential as high as the breakdown voltage – Anyone running such high voltage around them obviously isn’t a regular homeowner and definitely should have enough knowledge and skills to manage his/her peculiar situation). Some wasp and hornet sprays are effective in dealing with insects that are within the vicinity of the spray at the time of application. 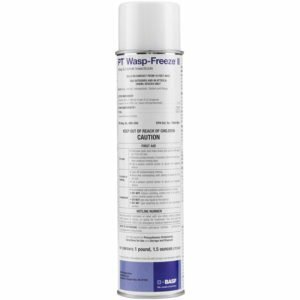 The Pt Wasp Freeze II Aerosol does one better: It has a residual activity which is a fancy way of saying that it keeps working long after the applicator has gone home. This is such a good thing because any members of the nest that was away at the time of application still get eliminated when they do return, thereby ensuring that the entire colony is wiped out. That’s hornet and wasp control on steroids if you ask us. Active ingredients: Sopropyl Myristate, Isopropanol, Mineral Oil, Canola Oil, Wintergreen Oil, Carbon Dioxide; Peppermint oil – 1%; Phenethyl Propionate – 0.5%. Many brands talk about being eco-friendly. EcoSMART® does more than talk; it walks the talk. Known as a global leader in the formulation of safe pest control solutions, it has a mission of always producing pesticides that are highly effective but always derived from ingredients that are non-toxic (whether you want to use them as a natural wasp repellent, deterrent, exterminator or whatever). When you use any EcoSMART® pest control solution, you can rest assured that you are applying an EPA exempt pesticide. You can use it around pets and kids without any fear of adverse effects (provided you stick with the manufacturer’s directions). Isn’t that what you want from any product that wants to lay claims to being the best wasp killer? Its formulations are made of essential oils that attack a critical neurotransmitter in insects (completely different from the way standard pesticides such as a raid wasp spray works). This neurotransmitter (known as octopamine neuro-receptors) is responsible for regulating metabolism, behavior, and movement in insects by the transmission of octopamine signals. So when you spray this natural wasp killer, the spray simply blocks pathways to this neurotransmitter and the insect is knocked down fast (followed rapidly by death). 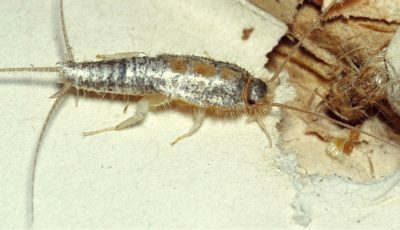 This affects a wide range of pests found in/around homes, practically every insect as they have this receptor. But wouldn’t a product this powerful be dangerous? No, it isn’t. Actually, the reason is quite simple: Fish, birds, and mammals don’t have octopamine neuro-receptors like insects. And since the blend of essential oils developed by EcoSMART works simply by blocking pathways to these specific receptors, every other creature that doesn’t have these receptors is completely safe around it. And if you think that’s all about this organic pesticide, you’re wrong. While you run the risk of contaminating groundwater supplies with the use of synthetic pesticides, you aren’t exposed any such risk with the EcoSMART Organic Wasp and Hornet Killer. 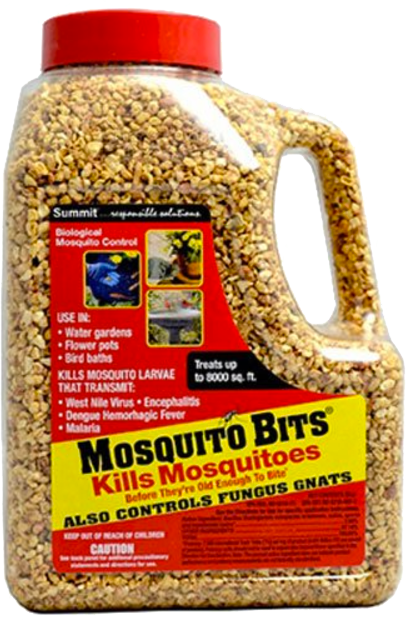 So you can get rid of those pests without putting yourself, loved ones or the environment at any risk. For us, going “Eco” is surely the best way to kill wasps, hornets and any other pesky insect. 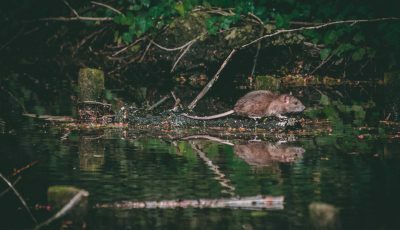 Founded sometime in 1958 in a Pennsylvanian garage, CRC has grown to become a leading supplier of chemical products that include special solutions for pest control. With a commitment to consistent improvement to its line of products, CRC promises products, services, and solutions that are of the best quality; exceeding customer expectations in every way. With a set up that emphasizes cost-effective production processes that reduce waste while maximizing customer satisfaction through the delivery of innovative solutions, you can rest assured that any wasp and hornet spray with the CRC name on it is bound to deliver as promised. The CRC 14010 Wasp & Hornet Killer Plus Insecticide follows in the CRC tradition. It’s a technical “knock down and out” for any wasp or hornet that comes in contact with this high strength and fast-acting insecticide. And you don’t have to come too close for your own safety in order to apply it. Feel free to stay as far away as 20 feet and you can still give those troublesome pests and their nests enough drenching for them to be wiped out, thanks to the dense and accurate spray provided by its trigger (It remains accurate for up to 15 feet). It doesn’t matter if you are a do-it-yourselfer, handyman, contractor or a regular homeowner looking for how to get rid of wasps around the house. You will experience sufficient control of the application process (even if you are wearing gloves) thanks to the ergonomic design of its trigger. With an extension tube that also works as a locking mechanism, you can go about your work quite sure that your spray can won’t slip off. What’s more, you can use it safely around electrical equipment and/or points provided their potential is below 47,600 volts, thanks to its high dielectric breakdown voltage of 47,600. This means that you can spray it confidently around your home’s circuit breaker boxes and stuff like that (where these pests sometimes choose to build their nests). And while you are at it, rest easy on your plastic connectors and any other plastic insulating materials because this spray is plastic safe and will NOT lead to any damage to these parts or items. If you want to get rid of the meanest, “worst” pests; be they on your lawns, roof gutters, patio or wherever, you’ve got a strong ally in Spectracide. It’s NOT often that you see a brand take more than one spot on our top ten list for any product. When you do see such then you know it offers something special. To put it in simple words: Spectracide makes powerful pest control products and you’d be making the smart choice if you choose any of its excellent products. Now bringing to your attention one product that embodies the excellence this brand stands for, we take a look at the Spectracide Wasp & Hornet Killer Aerosol. Well for starters, how does it fare when it’s applied? Simple: It kills wasps and hornets on contact – End of discussion. To ensure your safety, it’s designed to give you a decent jet spray from up to 27 feet. So the applicator can stay far away from stinging insects while dealing them the deadly blow (or should we say, hornet and wasp killer spray) they asked for by invading your premises. So apart from killing these pests on contact and giving you enough distance for your own safety, what else? You see, it’s great if a pesticide can kill off pests on contact but it’s even better if it can eliminate the entire colony. Well, you’re in luck; the Spectracide Wasp & Hornet Killer Aerosol does just that and achieves it without leaving stains. About NOT leaving stains, how would you feel if you had to deal with a hornet’s nest somewhere on your white patio? Boy, did you spend some cash and time giving it that beautiful look? You obviously won’t want an insecticide (no matter how effective) to leave ugly stains you’d have to spend more time and money wiping off. So here again, you’re covered. Hot Shot, a subsidiary of Spectrum Brands, is part of a rapidly growing global brand that delivers a wide range of consumer-driven products. With a structure that’s designed to reduce costs while improving efficiency, Hot Shot delivers top quality pest control products that are competitively priced. With an understanding that the quality of our tomorrow depends largely on how we use today’s resources, it is committed to preserving the environment whether it be where we live or work. If you want a pest control solution that is made with high performance in mind while preserving natural resources through sustainable practices, Hot Shot is a clear choice. 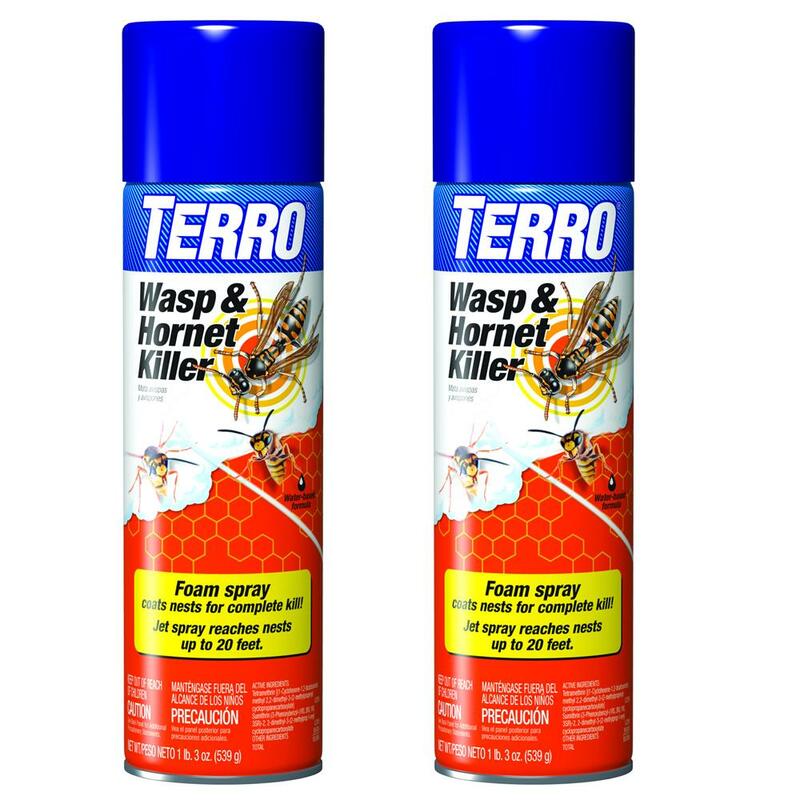 The Hot Shot Wasp & Hornet Killer (Aerosol) lives up to the brand’s promise. And when it comes to the core question of performance with respect to getting rid of wasps and hornets, it excels. While its target insects are wasps and hornets, it doesn’t spare scorpions, tent caterpillars or yellow jackets either. While some sprays will take quite a long time to kill wasps/hornets, this aerosol kills on contact. But it even does one better: It wipes out the colony leaving an empty nest. Just ensure that you apply this wasp killer spray on the nest until it’s completely soaked. This way, even returnee insects (those that weren’t around when you applied the spray) will be eliminated when they do return. Yes, this aerosol will keep working for a few days after application. With a jet spray that’s up to 27 feet, the applicator can spray this aerosol from a safe enough distance. Attack the nest around sunset and you’ll have a much better result because these insects are generally less active at this period (That’s the manufacturer’s advice). If you are concerned about leaving stains everywhere you apply this aerosol, make your mind easy about that because this one is a water-based non-staining formula. Of course, this depends on how new and clean your home’s siding is, in the first place. If the point of application is an old home siding that’s not clean, you’ll get different results (stain-wise if for no other reason because the water-based solution could “wash off” some of the dirt, leaving marks). Please, note that this aerosol is to be used outdoors only. It is also NEVER to be used near electrical equipment or points due to hazards of electrical shocks. Lastly, the manufacturer advises that it shouldn’t be used on evergreen or holly as it might result in damage. A leading pest control solutions provider, Terro has been at the forefront of manufacturing high performing pesticides that really work. If you’ve ever used a product from the brand in bright orange you can attest to this fact. With a wide range of solutions for dealing with pest menaces (including ant dusts, perimeter granules, wasp sprays, aerosol sprays and liquid ant baits), you are sure to find a product that helps you deal with any pest challenge you have at home. You can easily deal with wasps and hornets with this insect killer. Once you attack them with the spray, it releases an entrapping foam. This foam expands, giving these insects no chance at all to sting. And as if that wasn’t good enough, this entrapping foam stays effective for long enough to also kill any colony member that has the misfortune of returning to the nest. That could mean only one thing: The nest is wiped out completely. You just have to ensure that the entire nest is completely soaked with the spray – That’s NOT so much to ask, is it? Well, if you think it is, look at the next point. We all know that these insects rarely build their nests in places that are within easy reach. So how do you get to them effectively without putting yourself at risk? Well, thanks to the TERRO T3300-2 Wasp and Hornet Killer’s powerful jet spray, you can reach nests up to 20 feet away. Combine this with the foaming spray and you’ll see that it becomes even more difficult for any of these insects to get close enough to sting you. Prevention, they say, is better than cure. What if you don’t want any of these insects to build a nest in or around your home in the first place? 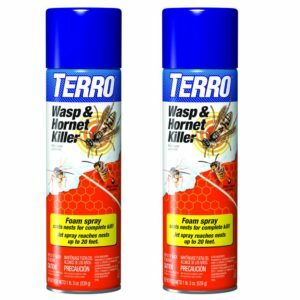 Here’s what you can do if you want to use Terro T3300 as a hornet or wasp deterrent. Make a note of the following areas and apply these foam spray on/around them: Crevices and cracks along ledges, sills, and foundations; gaps around vents, outdoor plumbing and any other space or gap through which these insects might be able to enter your home. You’ve had enough of the pesky wasp or hornet that has been having a field day trying to intimidate you. This spray comes to the rescue and its time is up. However, it’s more than a hornet or wasp repellent. Just apply it and watch as the “once intimidating” wasp or hornet falls dead. But you can do better. Do some investigative work and find out its home address (we mean its nest) and NOT only will you put an end to this lone ranger, you’ll also wipe out its entire family (mafia style – Let them know no one messes with you around your home area). You can apply this spray from a safe distance (no use turning from the hunter to the hunted). This is thanks to its jet spray that shoots as far as 20 feet. Furthermore, it’s ok if you discover that the rascal that harassed you actually comes from a nest that’s built close to electrical equipment or points like circuit breaker boxes. This spray can work in such an environment because it has a high enough dielectric breakdown voltage at 40.1KV (that 40,100 volts). So unless you are running something that’s against standard regulation in your home, you shouldn’t have any electrical point or equipment that has that kind of potential. It isn’t always that you meet a company that’s done a job well for close to two centuries. Well, today is your lucky day. Meet Black Flag which actually sold its first product as far back as 1833. It has continued to evolve with technological advances and breakthroughs in science to deliver more effective pest control solutions. Isn’t that what you want if insects are trying to make you uncomfortable in your very own home? Black Flag offers a range of excellent and effective products that will empower you to take back your space. You don’t have to worry about how to get rid of wasps or hornets again. And you know what? This company does it all either using very small amounts of lethal active ingredients or none at all (we mean to say that some of its insect control solutions don’t contain insecticides at all). That’s a bold claim, we know. But when it comes from a brand that has actually killed more troublesome insects for many more years than any other brand still in existence (and is still going strong) then you have to pay close attention. Now pay attention to what’s on offer with the Black Flag Wasp and Hornet Aerosol Spray. It allows you take back your space by killing these insects on contact. With a jet spray that’s up to 29 feet, you can stand at a safe-enough distance to apply this aerosol spray. And if you’re concerned about leaving a mess, this spray doesn’t leave any oily residue. And to crown it all, with the pack of twelve you’ve got quite enough cans to deal ruthlessly with any newcomers that might want to take their place (we mean wasps, hornets, yellow jackets and the like). 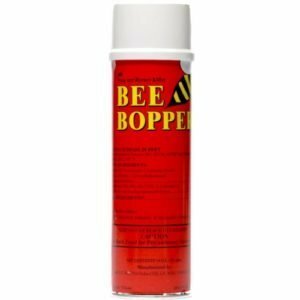 There you have it; an extensive buying guide along with reviews of top ten products for anyone who’s been looking for how to get rid of wasps or has been searching for the best wasp and hornet sprays. Now that you’ve got the information you need, it’s time to take action by picking the most appropriate wasp and hornets spray from those reviewed above. Live peacefully in your space and on your own terms. Don’t let those wasps or hornets mess with you ever again. What Do You Need to Know Before Bed Bug Fumigation?